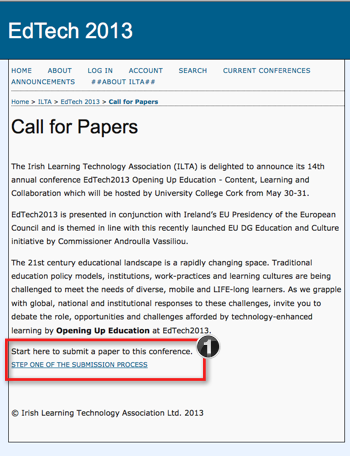 ILTA use an online conferencing system to collect, and peer-review abstract submissions. 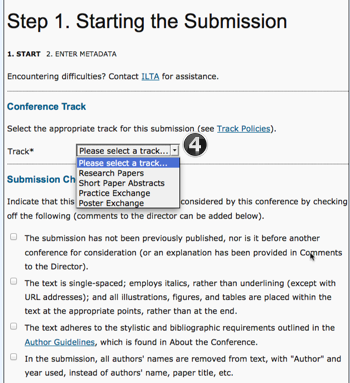 Once you have written your conference abstract, and are ready to submit to one of the four conference tracks, it is easy to do so, by following three quick steps. 1. 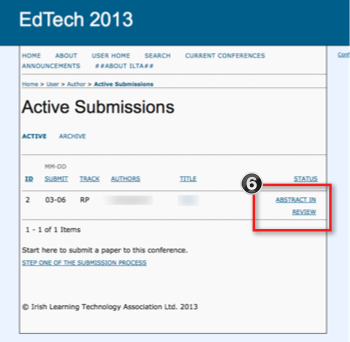 Go to the online abstract submission system and click to start Step 1 of the submission process. You will need to fill in full information, including your institutional affiliation, and ensure you select to become an author, so you can submit your abstract to the site. You will receive an email with your password and authentication details. 3. 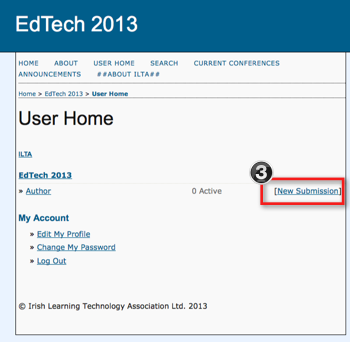 You can now add your New Submission, by clicking on the link. 4. From here, you are nearly there. Only two more steps to go. Firstly, you will need to tell the system what track you are submitting to, along confirming you have read the submission policies, copyright guidelines, and any optional comments for the Conference director. Save and continue on this page. 5. 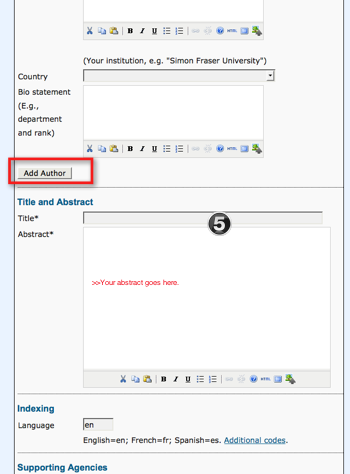 Finally, you can add in author details, and copy your abstract and any additional referencing information and click to Save. Your abstract will now be sent for review and you will receive feedback by the 15th of April. 6. 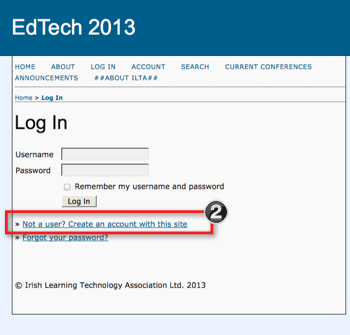 You can check on the status of your paper at any stage by logging into the system again. We will be notifying you by email when your abstract review is complete. 7. 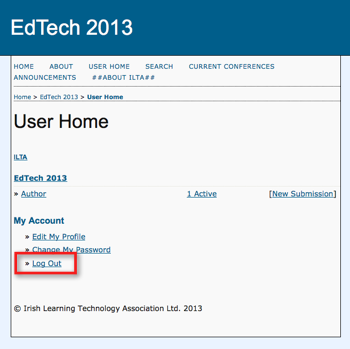 The User Home menu will enable you to log in and log out at any time. Registration for the conference will open at a later date, and these same user account details will enable you to register, and pay online to attend. Email info@ilta.ie if you experience any difficulties.